SPEC relies on a large number of volunteers to accomplish its goals. They come from vendors, universities, research labs and other member organizations. 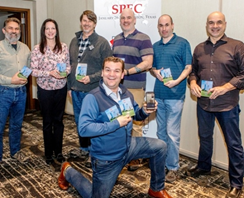 While most of these volunteers are paid by their organizations to work with SPEC, many of them go above and beyond what they are required to do. It's for these types of contributors that SPEC initiated its annual awards program. There are three types of awards based on nominations by fellow SPEC member representatives and the Kaivalya Dixit Award selected by a special SPEC Research Group (SPEC/RG) committee. 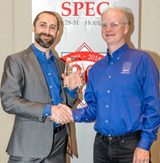 This is SPEC's highest honor, recognizing one person annually who has provided outstanding service and leadership to SPEC over a significant amount of time. The Kaivalya Dixit Distinguished Dissertation Award, named in memory of SPEC's long-time president Kaivalya Dixit, honors outstanding dissertations within the scope of the SPEC Research Group. 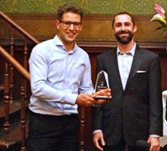 The award encompasses a diverse range of entries, including the design of metrics for system evaluation as well as the development of methodologies, techniques and tools for measurement, load testing, profiling, workload characterization, dependability, and efficiency evaluation of computing systems. This is for individuals who have significantly exceeded expectations in their contributions to SPEC during the course of the year or over several years. It's typically given to someone who has led development of a new benchmark or tool, or has made extraordinary contributions to a SPEC committee. Given to an individual or a team that made significant contributions to bringing a new benchmark, tool, project or event to a successful conclusion.